Provision of practice using a range of scenarios, getting more complex over time. 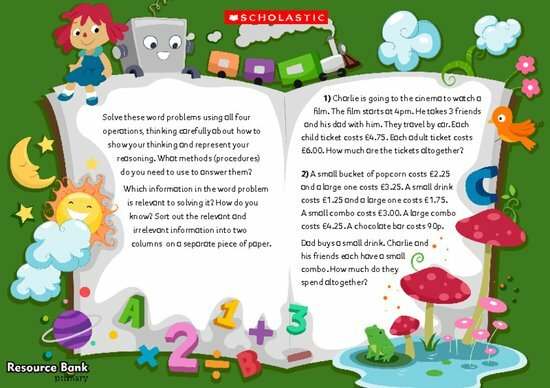 Our ‘Wacky word problems’ sheets provide examples of a scaffolded approach, encouraging children to ask questions to help them. Starting off with simpler one-step problems and moving on to more complex problems enables proficiency and fluency. These problems also help children to develop the knack of organising relevant and irrelevant information.